If you prefer white or another color feel free to ask for it. HIT & RUN TORPEDO ZARTAN. Overall condition:In my opinion this toy is in C9 condition. All of the major websites and identification books break down the toys this way and so do I. It is never my intent to "rip" anyone off. So I will get back to you as soon as possible and I appreciate your patience. No box or instructions included. Complete with accessories. Adult collector. Displayed only. Excellent condition. Then included Gorilla back slides into place allowing Optimus Primal to be separate from Optimal Optimus and able to transform into Beast Mode. It is very easy to do. 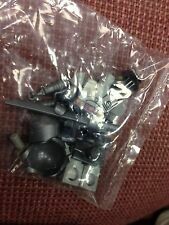 Optimal Optimus toy is not included and only used to show how the upgrade kit works. Motormaster punishes enemies and allies alike with the brute force of a tyrant, breeding fear and hatred in all who encounter him, even his Stunticon teammates. This powerful leader of the Stunticons is a terrible powerhouse in robot mode, launching his blaster attack against the Autobots. Transformers Generations Combiner Wars Ultra Magnus. Great shape. Comes with weapons, minicon and instructions. Smoke free home. If you have any questions just ask. Thanks for looking. 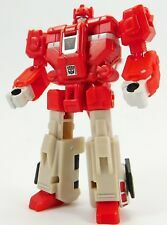 The leader of the Aerialbots forms the core of the team's combined form, Superion, a single-minded force bent only on Deception destruction. 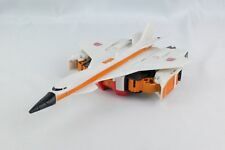 This powerful leader of the Aerialbots is a terrible powerhouse in robot mode, launching his cannon against the Decepticons. HASBRO Transformers Generations Combiner Wars AUTOBOT QUICKSLINGER Deluxe - NEW! Ok here it is! Hello Everyone! Transformers Combiner Wars Victorion Boxed Set Free Shipping! 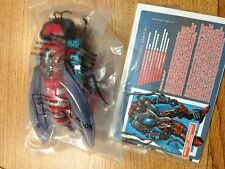 Transformers Combiner Wars Sky Lynx Mint 100% Comp. NEW Transformers Botcon 2015 Class Figure GALVA LIO CONVOY Assembled kit set . Condition is New. Shipped with USPS Priority Mail. Autobot or Decepticon - it doesn't matter. Any bot that gets in his way is in line for repairs once Brake-Neck is done with them. Whether these sneaky Decepticons are in robot mode or vehicle mode, they’ll attack with everything they’ve got! Rare Playskool Transformers Rescue Bots High Tide action figure. In ok condition with serious sighs of play wear see photos. Thank you so much for looking please check out some of my other items. Hasbro Combiner Wars Optimus Prime (Look at pictures) Sold æ is! Ready to ship! Great to add to your collection!! Payment must be made within 3 days of ending listing ! Serious buyers only !!! please contact for any questions you may have,PayPal only! Fracture is in good condition and is complete. Brand new. Bid with confidence and message me with any questions. Removed from box for pictures. Complete with bio card and instructions. Does have all accessories. Combiner Wars Ultra Magnus, US version. Transformers Tiny Turbo Changers Series 1 Case of 24 (2 SETS OF 12). You will get Motormaster, Brake-Neck (RARE! ).